In addition to game-day accommodations for two, the package includes parking, NFL Approved Clear Bag, Two bottles of Water, and One 3 oz. Sunscreen. All overnight hotel guests will also have exclusive access to the hotel’s interactive lounge and viewing room, with four flat-screen televisions. Birk’s is the perfect location for 49er fans to get started before heading over to Levi’s Stadium – which is less than a 1.2 mile stroll away. 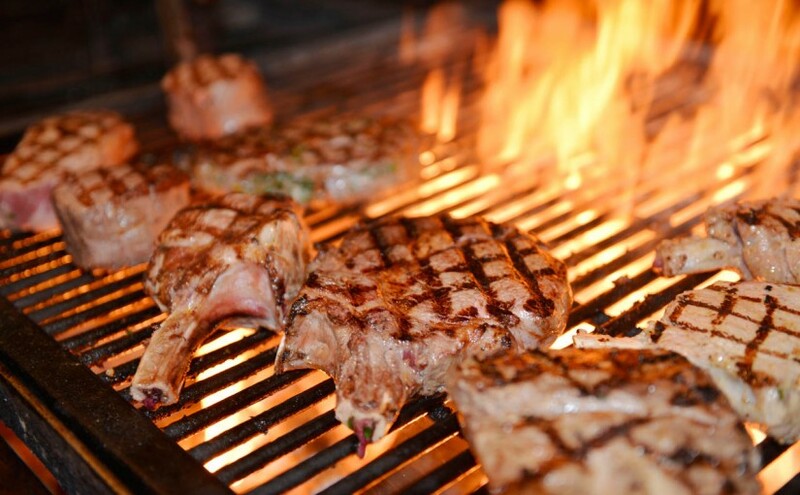 All of you 49er faithfuls can now enjoy pre- and post-game food and libations on game days! Regular Hours: Monday – Friday: 11:15 a.m. – 9:30 p.m., Saturday – Sunday: 5:00 p.m. – 9:30 p.m.
AWAY GAMES ONLY. 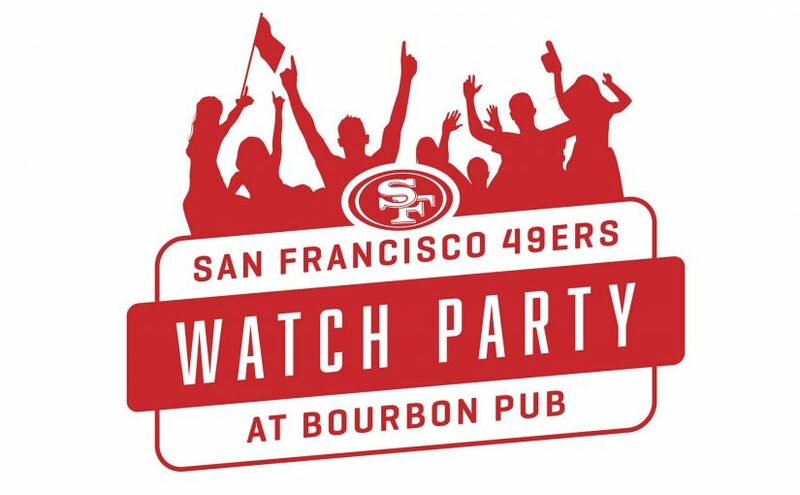 Bourbon Pub is the place for 49ers faithful to watch the team on 70 + TVs along with food and unlimited drink specials and giveaways! 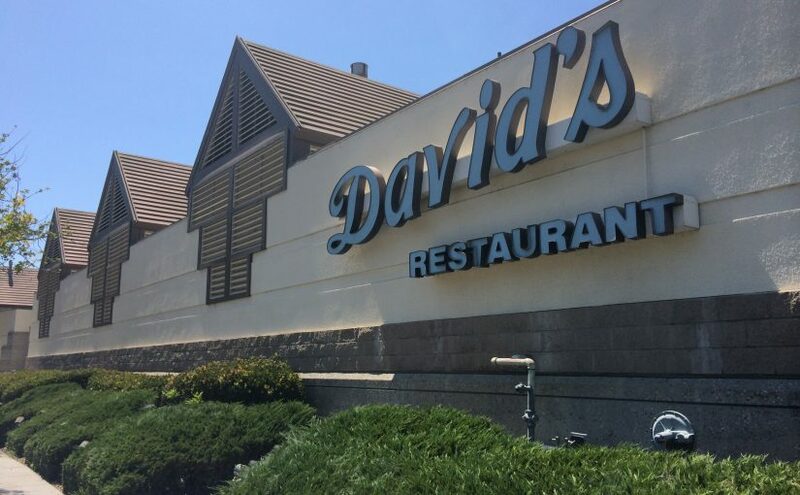 Enjoy a full buffet and parking only 50 yards away from Levi’s Stadium all for $55.00! Ticket is good for one buffet and one VIP parking pass. Additional buffet tickets sold at the door for $30.00 plus tax & gratuity. 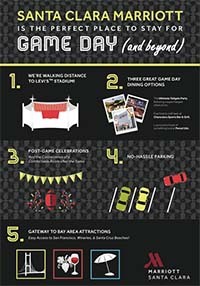 California’s Great America has partnered with the San Francisco 49ers to provide the ultimate pre-game tailgate experience prior to every 49ers home game. The new 2-acre 18,000 square foot indoor and outdoor Great America Pavilion hosts “Red Zone Rally” beginning three hours prior to each game. Unlimited food selections include an incredible variety with rotational options like roast beef or turkey carving stations, tri-tip sliders, pasta bars, fruit displays, incredible salads, desserts, and more. 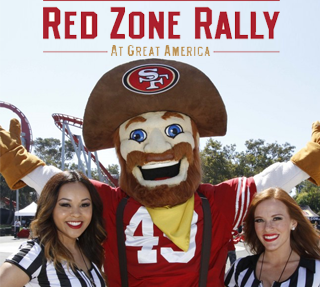 “Red Zone Rally” also includes unlimited beer, wine and soft drinks, more than 40 flat screen TVs, floor-to-ceiling fireplace, two island bars, 49ers Gold Rush cheerleaders, 49ers mascot Sourdough Sam, 49ers alumni, and “Flight Deck” coaster will be open for rides. $850 per person in advance for the season or $95 day of game. 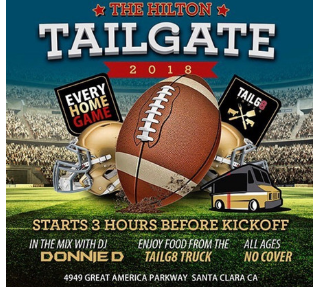 Hilton Santa Clara is doing a tailgate party for every 49ers home game. 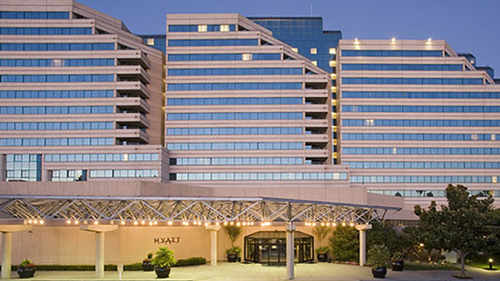 The Hilton Tailgate 2018 party will start three hours prior to game time in the parking lot of the Hilton. DJ “Donnie D” will be spinning your favorite tailgate tunes and to satisfy your hunger, enjoy food from the “TailG8 Truck.” All ages are welcome. No cover. Kickoff to a Better Game Day! Catch your favorite team at Levi’s® Stadium and experience game day your way with the Santa Clara Marriott, just blocks from the new stadium!